If you are looking for ways to boost the curb appeal, the level of protection from the elements and value of your home then we here at Tampa exteriors are the areas #1 one recognized go-to source for warranty soffit and fascia repair and replacement. When allow us do the work you can rest assured that no corners have been cut and that means quality craftsmanship using premium grade materials. Particularly in Tampa, soffit and fascia play an important role in protecting homes against the elements in a climate that is all too well known for being tough on home exteriors. They work together to close off the outer edge of your rafter tails and outer eves, so they’re protected from water damage, rodents and the elements. Properly installed soffits also function to maximize attic ventilation to enhance your home’s comfort level while they minimize power bills in the warm summer months. So all things considered it just doesn’t pay to put off repairs on this area of your home or commercial building. At the same time though, while damage to soffits is usually easy to detect, dry rot in fascia may not be so easy to identify with the naked eye. Allow the dry rot caused by water damage to progress on into the rafter tails and what was once a relatively minor issue can become substantially more expensive to address. Knowing all your options when it comes to materials types, design styles and price ranges of soffits and fascia is of course also important when it comes time to put your plans in action. There are several choices available and knowing what they are will assure that you stay within your budget guidelines and also that the finished work meets your expectations and matches the design style of the building. Many homeowners who contact Tampa Exteriors for assistance with damage to their soffit may be interested in replacing all of the soffit. The fact is that some homes have been constructed with lower grade materials, and these materials may be prone to becoming damaged over time. Upgraded materials, such as vinyl soffit or aluminum soffit, may have the same aesthetic look. However, they are designed to better withstand damage caused by exposure to the elements and pests. It may be more cost-effective to make a repair to your soffit when only a small area has been damaged and when the rest of the soffit remains in great condition. However, the soffit plays a critical role in curb appeal, property value, energy efficiency and more. Because of this, if your home’s soffit is more considerably damaged, replacing the damaged or lower-quality material with an upgraded material throughout the exterior of your home can be cost-effective over the long run. Keep in mind that issues related to water damage and pest infestation, which are common when the soffit becomes damaged, can result in high repair bills for the homeowner. At Tampa Exteriors, we want to help you keep your home’s exterior in the best overall condition. When you contact us for a consultation, we can help you to determine if a repair or a replacement is a better choice for you. We can also provide you with an affordable estimate for both options so that you can make a truly informed decision about the care of your home. 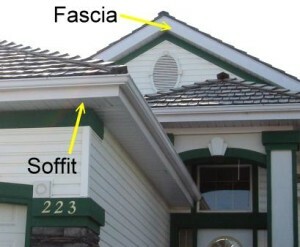 Signs of damage to the fascia can be difficult to miss, and this is because the fascia is typically highly visible from almost every angle of a yard. Passersby may notice the fascia, or trim, on the exterior of your home, and those who walk up to your home may observe its condition as well. Typically, damage to the fascia is caused by exposure to the elements, water or pests. It may give the fascia the look of being worn out, faded or even chewed upon. In some cases, rodents and pests may have even chewed a noticeable hole into an area of the fascia. These are all signs that your home needs special attention from the professionals at Tampa Exteriors. Replacing the material is a great way to protect your home and to keep it looking great. When you make the decision to replace the fascia on your home, you will have several material options available to consider. Typically, when you are replacing a small section of the fascia, using the same material is preferred for aesthetic reasons. There are several high-quality materials that are available that can withstand the damage that your existing fascia has, and you may consider making an upgrade once you learn more about these types of materials. When you contact Tampa Exteriors for a consultation, you can learn more about the upgraded materials that may be suitable for use with your home maintenance project. We can also provide you with a competitive quote for fascia replacement. The fact is that almost all surface areas on your home may require your attention from time to time, and this is true for your soffit and fascia. The soffit and fascia can be easily viewed from the ground level of most homes by simply looking up. When you notice that the materials appear to be rotted, warped or otherwise damaged, you should act quickly to make the necessary repairs to your soffit and fascia. The fact is that regular maintenance, such as keeping these areas freshly painted and keep tree branches away from them, can drastically reduce the repair work needed over time. In addition, installing and maintaining gutters can also be a beneficial step that minimizes the risk of damage to this area of your home. When you do notice signs of soffit and fascia damage, you should contact Tampa Exteriors for assistance. It can be difficult to repair damage to the soffit and fascia on your own, and this may be due to the elevated height of the work area. In addition, you must have access to the right materials, and the work should be completed with skill for the best results. Gaps in between the surfaces ultimately can lead to a higher risk of damage later, and the professionals at Tampa Exteriors know how to make repairs according to manufacturers’ recommendations. Whether you need help with maintenance, repair or replacement services for your soffit and fascia, rest assured that our professionals at Tampa Exteriors can respond to your request quickly. The soffit and fascia found on most homes throughout the Tampa are designed for more than aesthetic purposes. Clearly, these are features that can impact the curb appeal of the property, and because of this, they can also affect property value when they are in poor condition. However, because they also are important to protecting the structural integrity of the home and to energy efficiency, maintaining them is important. Understanding some of the more common causes of damage to soffit and fascia can be beneficial at helping homeowners to spot the signs of damage. This may also enable you to take steps to prevent the damage from occurring. One common reason why the soffit and fascia may begin to rot or decay relates to water damage. With some home designs, water may be channeled more heavily across some areas. One way to combat this problem is to install gutters to control the flow of rain water. Another common cause of damage relates to pests. Pests like squirrels, birds and other critters may gnaw at the fascia and soffit in an effort to find a safe haven from the elements. This damage essentially can lead to more damage once the pests invade the home. You can attempt to minimize this risk by keep trees and shrubs trimmed away from the top of the home so that pests have increased difficulty reaching the trim and fascia. 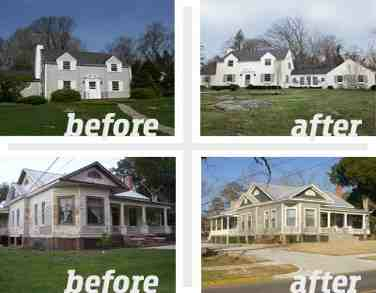 Keep in mind that you should contact Tampa Exteriors at the first sign of damage so that repairs can quickly be made. 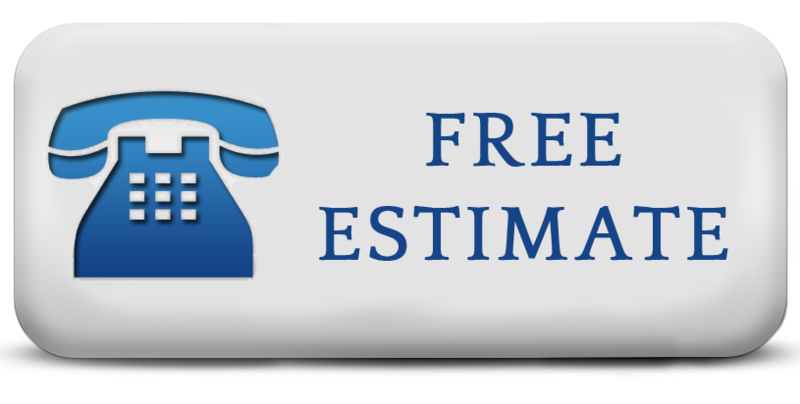 Tampa Exteriors offers a free evaluation of your soffits and fascia followed up by a consultation that is not a sales pitch, along with a written estimate of materials and labor costs. We believe that knowledgeable clients make better clients because the more you know about soffits and fascia the better the choices you will make and the better we can serve you. Then once the work has been completed by our expert tradesmen we back it up completely by an ironclad guarantee of complete satisfaction and an extensive service life.